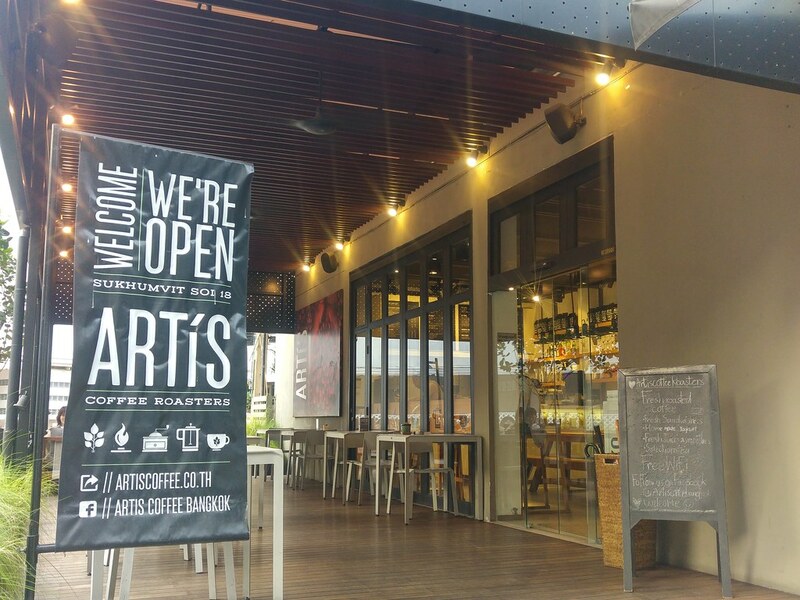 It has been 3 years since I last visited Bangkok and I was really eager to pop by one of their artisanal cafes. 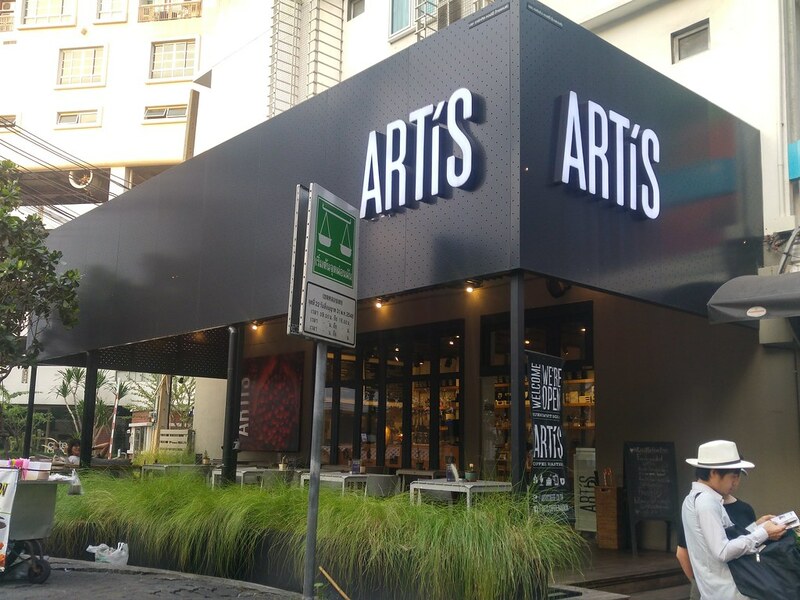 While there are so many recommended ones up in magazines and social media, it was really by chance to find ARTiS, especially it looked so unassuming at bustling Sukhumvit. Simply because when I finally saw Roast at The Commons and decided that it will just be another P.S Café experience, and all other cafes at Thong Lo and Ekkamai had shut their doors for the day, I decided to give this cafe a try, after walking past it back and forth several times, for it is just a few minutes walk from my hotel! 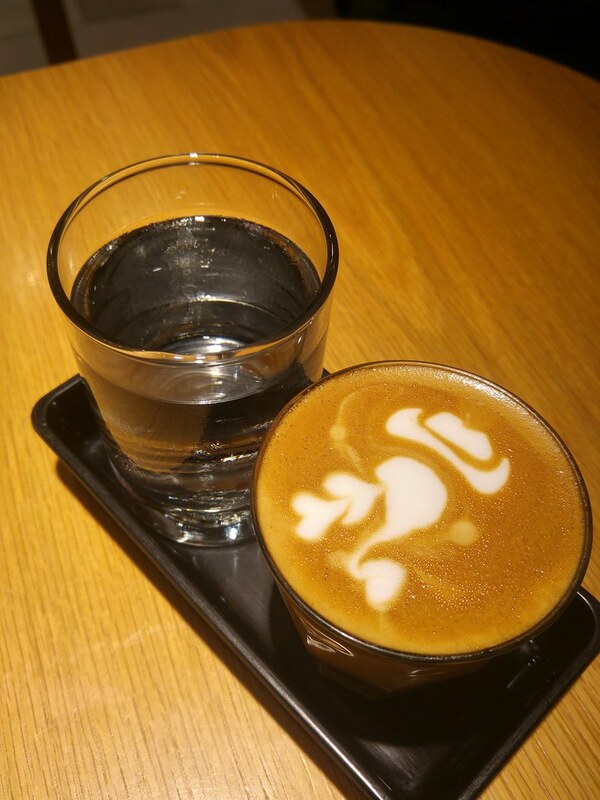 Was it the days of yearning for that one cup of good coffee after a week in Thailand, that caused me to feel that I just had the best Piccolo? Ever since my first gibraltar years ago at Toby Estate Singapore, I haven't had such feeling for a very long time. I couldn't stop commenting to my friend about how velvety the foam was and married with the extract so well that the coffee just stayed lusciously round and full bodied throughout, till my last sip. 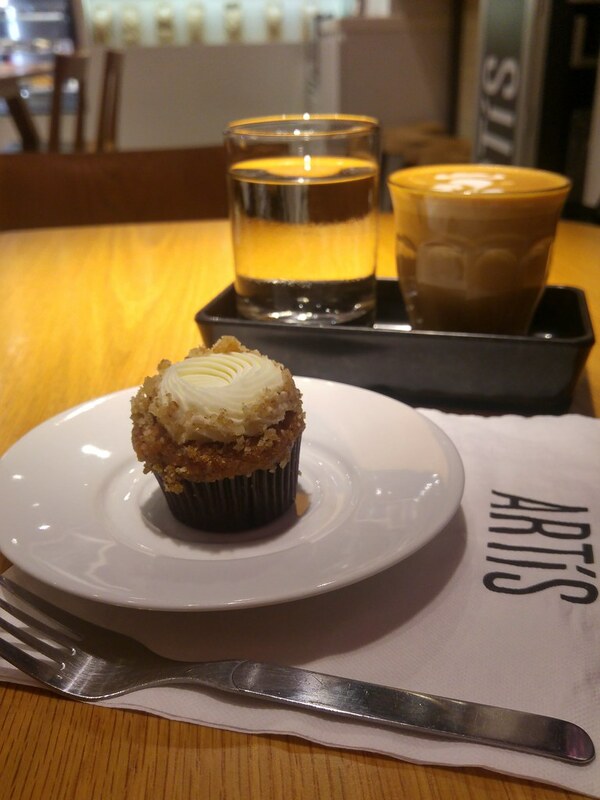 Not much food accompaniment here, so i ordered a mini carrot cake. I reckon their sandwiches will fare a lot better. I made a point to come back before departure, which I did on the morning before my flight back. Black coffee is the way to go for any morning hence the Single Origin Ethiopia Guji Uraga. Stated notes are Blood Orange, Peach and Strawberry. 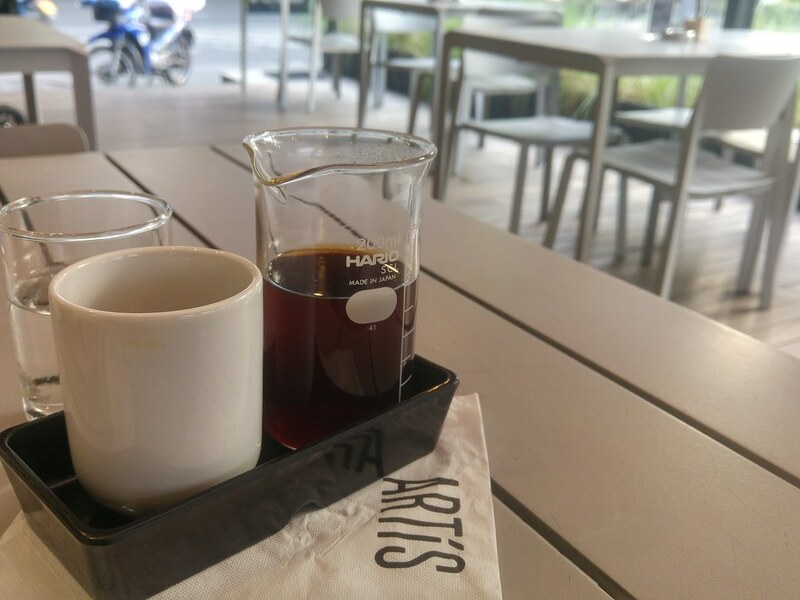 Not an expert in drinking drip coffees but it resonates well with me and I could detect that hint of strawberry notes in the coffee. I read that Artis originates from Berkeley, a Calif.-based brand. So this store is actually a licensing of the brand with a business partner fell in love the Berkeley store after his first visit. 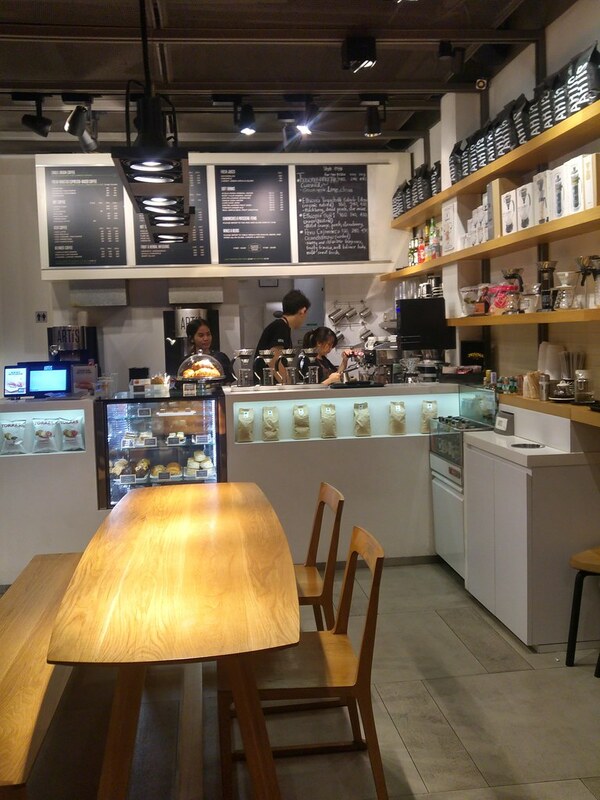 The concept store is much bigger with a 'Live Roast Experience' concept, along with a traditional coffee bar and a brewing equipment marketplace. Weekend mornings would be the best time to go as it gets really packed and busy on weekdays. I had such a pleasure sitting outside with a great cup of coffee, watching the street hawker preparing his fried dough and soya milk fervently.